Jenny Davidson was born in London in 1971 and grew up in Philadelphia, where she attended Germantown Friends School. She has degrees from Harvard and Yale and currently teaches eighteenth-century British literature in the Department of English and Comparative Literature at Columbia University. She has an insatiable lifelong appetite for novels and a more recent obsession with endurance sport; she is currently training for Ironman Wisconsin. She lives in New York City. 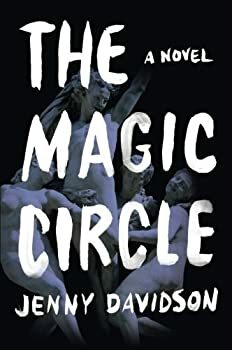 The Magic Circle by Jenny Davidson is the story of three young women in academia, all of whom become involved in a particular type of game that combines urban exploration with LARPing (live-action role-playing). Logical Ruth is primarily interested in games as teaching tools. Anna, a more right-brained sort, prefers visceral games that effect a psychological transformation on their players. Their more reserved friend Lucy is along for the ride. The novel is primarily narrated by Ruth and Lucy, with occasional Internet posts from Anna interspersed. Sophie Hunter — (2008-2010) Young adult. Publisher: A series of mysteries. An explosion of truths. The Explosionist: Someone sets off a bomb outside fifteen-year-old Sophie’s boarding school, but no one can figure out who. The Medium: Soothsayers and séance leaders are regular guests at her great-aunt’s house in Scotland, but only one delivers a terrifying prophecy, directed at Sophie herself. The Murder: When the medium is found dead, Sophie and her friend Mikael know they must get to the bottom of these three mysteries in order to save themselves — even as the fate of all Europe hangs in the balance. Set in a time of subversive politics, homegrown terrorism, and rapidly changing alliances, The Explosionist is an extraordinarily accomplished debut novel for teens that delivers a glimpse of the world as it might have been — had one moment in history been altered. Heredity — (2003) Publisher: New Yorker Elizabeth Mann travels to London on a travel writing assignment. Little does she know that her ultimate discoveries will be far more captivating than the happenings at Buckingham Palace or the activities of the royal family. When she becomes lovers with an infertility specialist, the two conceive a plan to create a new person using the DNA of an infamous 18th-century criminal. Combining elements of Girl, Interrupted and A. S. Byatt’s Possession, Heredity is both a deadpan detective story and a twisted historical romance. CLICK HERE FOR MORE STORIES BY JENNY DAVIDSON.